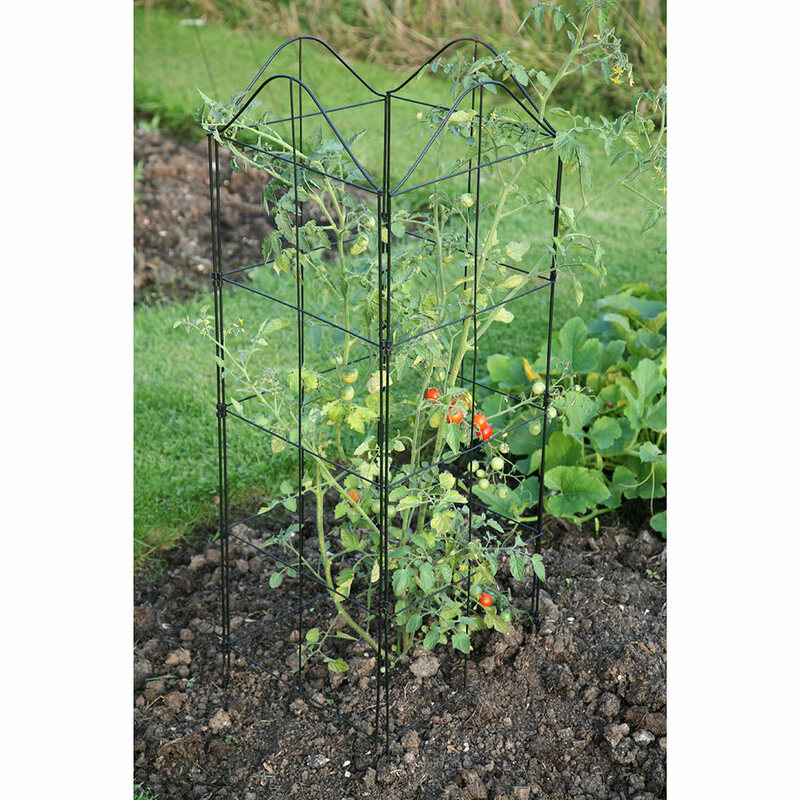 An elegant and amazingly versatile support frame that can be used to support tomatoes, peas, beans or other climbers. Length 1.1m (3ft7") Height 1.32m(4ft3"). 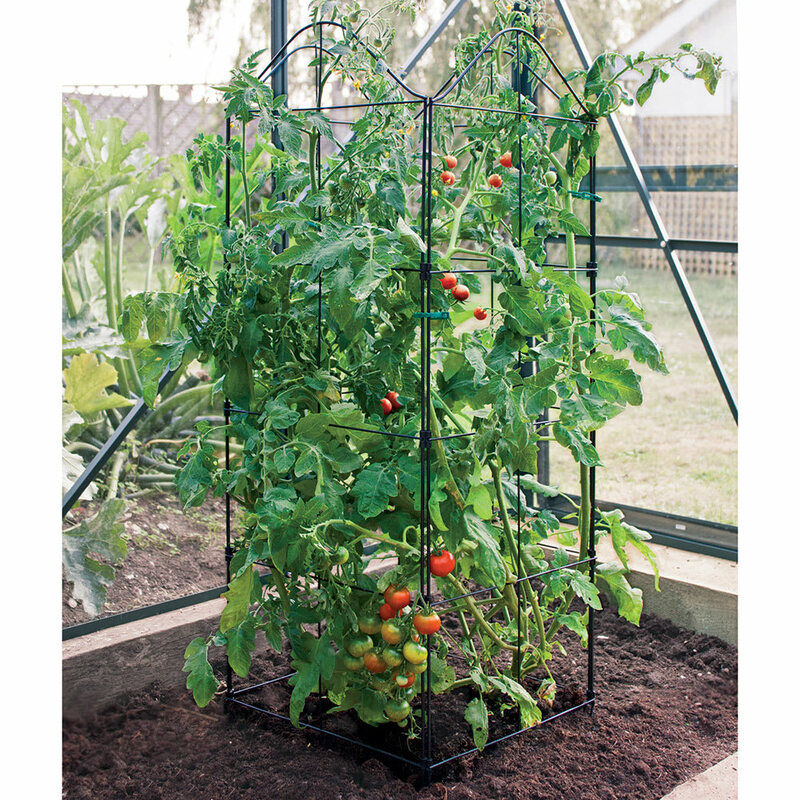 Fold-a-Frame will stop tomatoes collapsing under their own weight and make accessing fruit and vegetables easier. 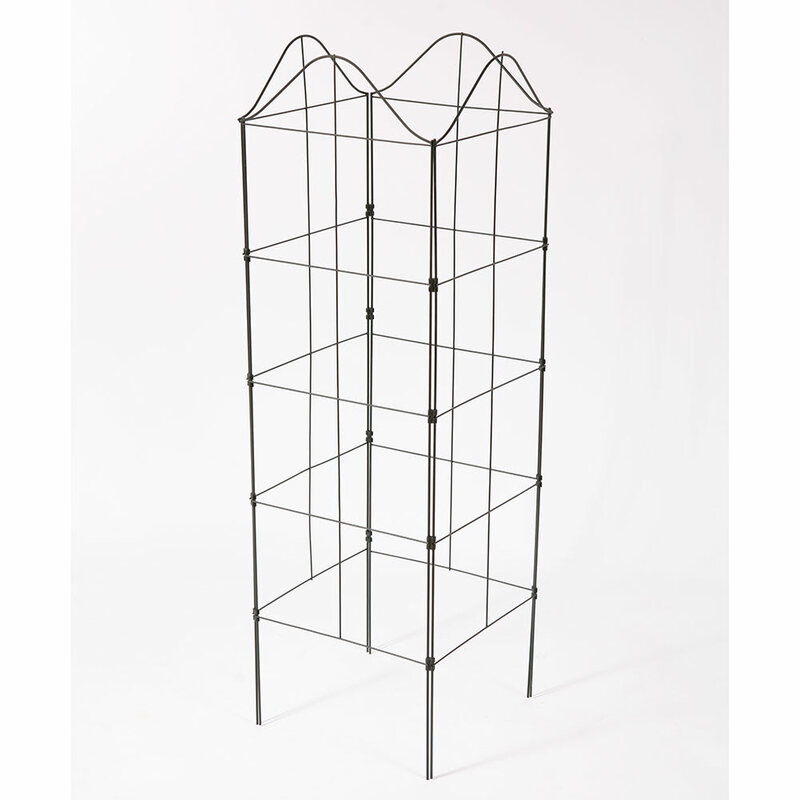 The four hinged steel panels (each 33cm wide x 110cm high) can be used in a square or in conjunction with other units clipped together to support large groups of plants. 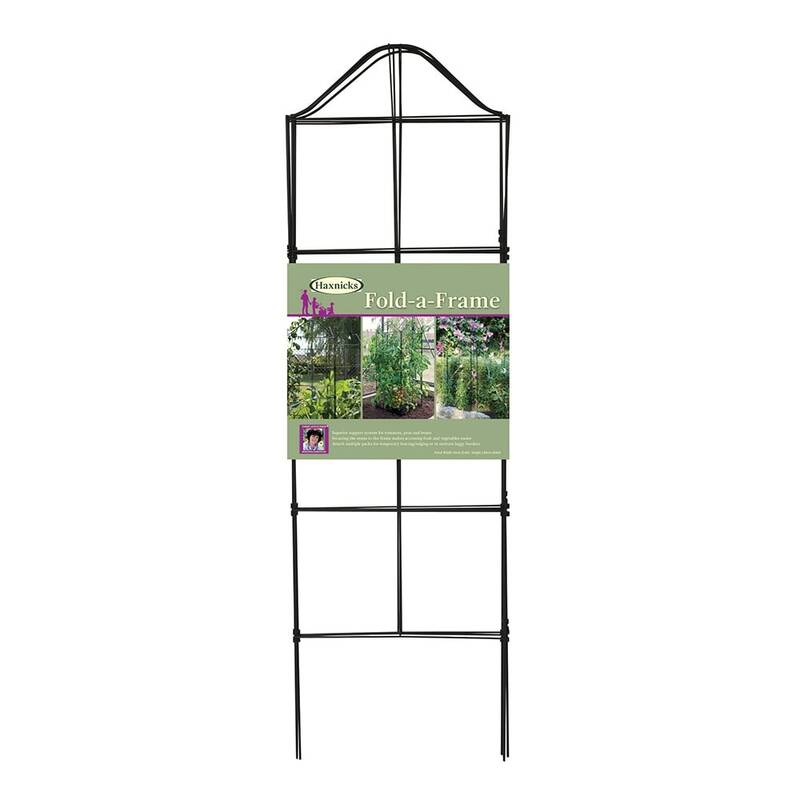 An unobtrusive and much smarter alternative to canes, Fold-a-Frame will support, separate and add elegance to your plants. Helpful Haxnicks hint: attaching multiple frames is useful for making temporary fencing/edging or to support leggy borders.